Each year, there are around 20 million babies born prematurely, and 4 million of them die. Babies’ lives can be used by providing them with thermal regulation from incubators. However, traditional incubators are expensive and required electricity which usually not available in urban/rural areas. Embrace infant warmer is a smart and cost-effective technology that provides heat to an infant at a constant temperature to fulfill a condition for survival. It’s been carefully engineered to maintain baby’s temperature at consistent 37 degrees for around 4-6 hours even without electricity. 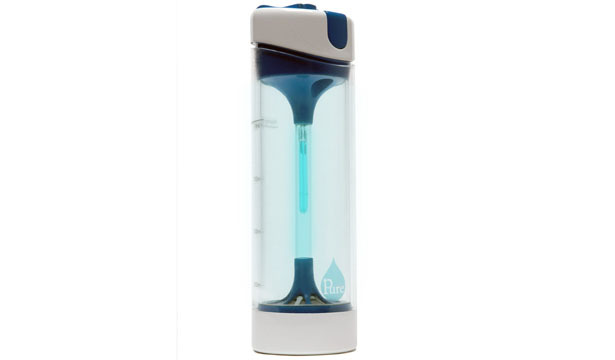 PURE is the answer of how to get clean drinking water in the most hostile of conditions. After traveling to Zambia, Timothy realized that how difficult to get the clean water there, mostly children die each year due to contaminated drinking water. 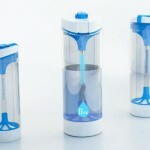 Timothy has designed a device that can provide clean drinking water in just under 2 minutes by taking advantage of ultra violet light to sterilize the water without any weird taste. 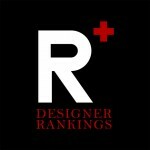 We have featured this design here : PURE by Timothy Whitehead. Based on research, there’s a correlation between the onset of asthmatic episodes and a rise in exhaled breath temperature. 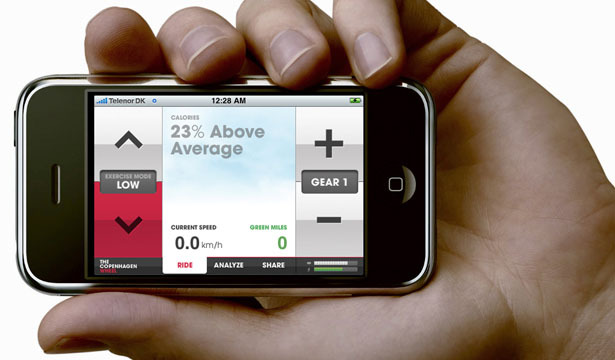 X-Halo provides information for its user to predict the asthma attack before it happens. 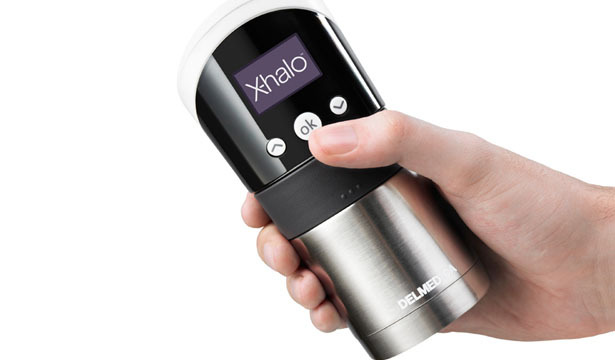 This device measures the temperature of exhaled air in an easy, simple and user-friendly way. The main objective of The Dream Ball Project is to help children in disaster zones to recover from trauma by encouraging their physical and emotional development. Football sport is not just a game, it promotes team effort, a positive lifestyle, a healthy activity. The Dream Ball Project provides these children with footballs made of recycled famine relief packaging. 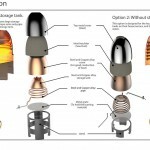 The design team has redesigned relief packaging in a way that it serves its primary purpose, different types of balls depending on the size of the boxes. An eye test can be done through your mobile phone. Netra has been designed for smart phones where user can attach to the phone quickly and securely. This device can be used to instantly detect refractive conditions and provide recommendations for correction. Eye diagnostics don’t have to be so expensive. If this device goes into production, millions of people around the world who previously couldn’t afford the test; could have access to it. 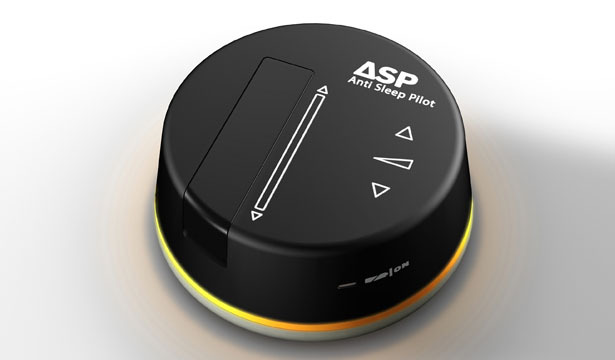 Anti Sleep Pilot (ASP) is not designed to wake you up once you have fallen asleep. 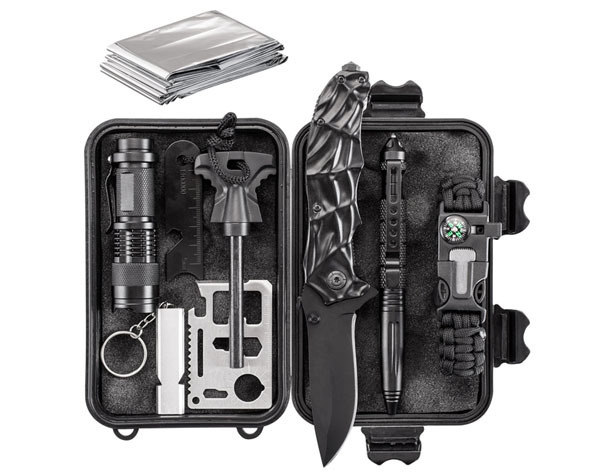 This device helps you to avoid dangerous situation caused by driver fatigue. 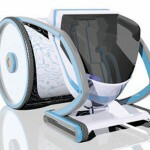 It will automatically register the level of tiredness, maintain your alertness through simple tasks while driving. It recommends a preventive break before your tiredness level becomes dangerous. Half people in this planet still cook on indoor open wood fires which result in toxic smoke that kills million people every year. 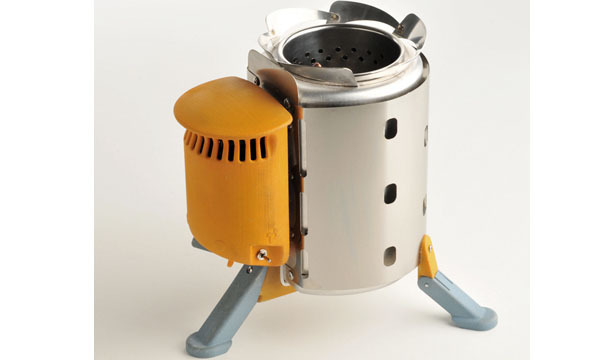 BioLite Home Stove reduces the time they need to gather the wood or other solid fuels. It uses only half the wood required for an open fire, it can save tons of firewood each year. 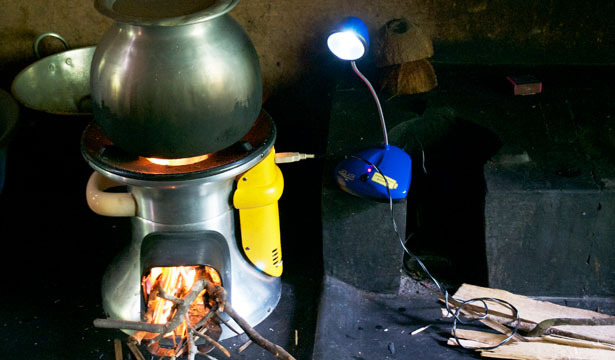 This stove is capable of reducing indoor smoke, more over the efficient combustion can reduce deforestation in developing regions. Women who give birth in developing countries usually get no help or when they do, it’s from untrained attendant and mostly in an un-sterile rural clinic. They risk contracting an infection which responsible for nearly 1 in 5 maternal deaths. 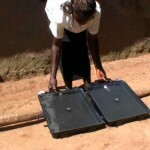 JANMA is an affordable clean birth kit to provide clean and sterile conditions for giving birth. With the ambition of “No women should die giving life”, AYZH, a social venture makes this clean delivery kits available through government health clinics, markets, private pharmacies, and other commercial channels. 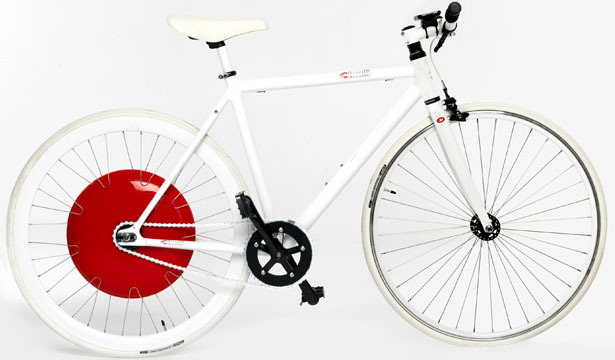 This wheel generates and store energy while you are cycling and braking. 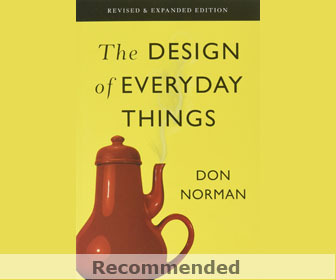 It’s perfect for everyone, individuals, the elderly people, or physically impaired. It’s equipped with sensors inside the wheel that gathers information to help you pick less polluted bike routes, achieve your goals, or challenge others to ride more. The wheel provides information related to topography, distance, any other data related to city infrastructure. 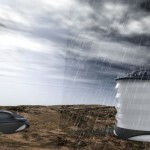 This planet slowly but surely will face global water crisis. 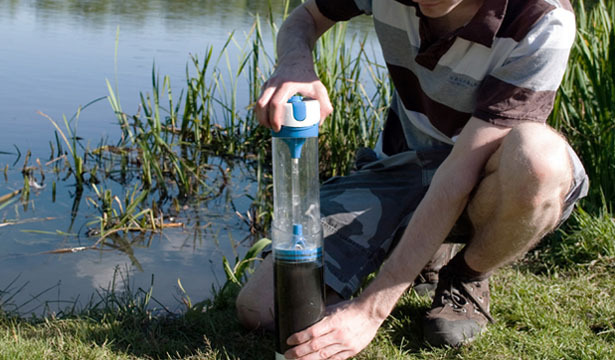 It’s important to educate people in order to use water more wisely. 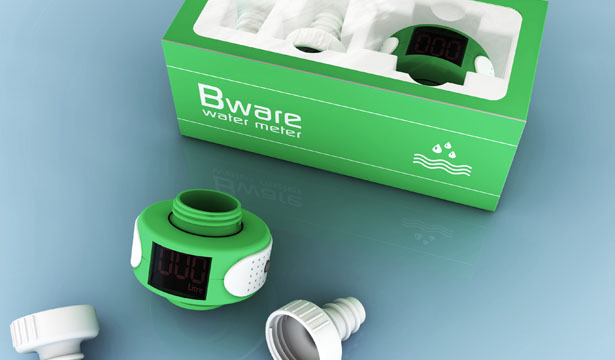 Bware water meter is a small device that informs the consumer the amount of water consumed while it’s running. 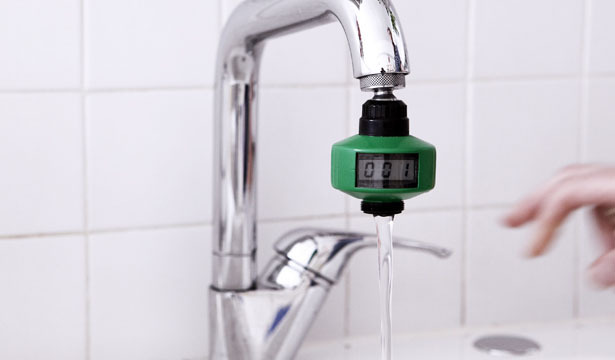 The water flows passing through an internal generator that powers the LED to display the amount of water consumed. 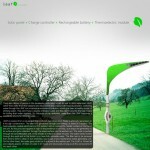 Bware has been made of bio plastics and all of its components are recyclable and eco friendly. 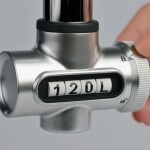 By displaying the number of liters the user consumed in real-time, hopefully it can raise the awareness of water waste. Tagged as Ball, birth, clean drinking water, contaminated drinking water, design submissions, index, jane chen, PURE, ultra violet light, water.